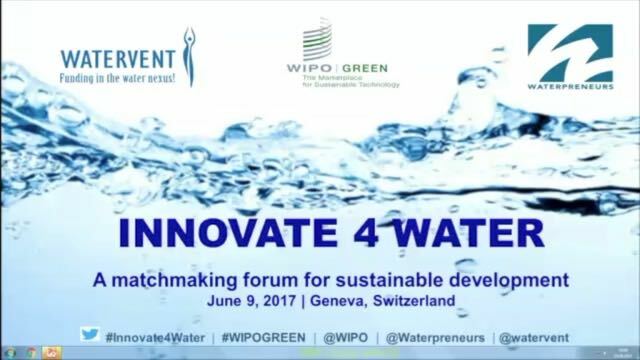 WIPO organized the first-ever Innovate 4 Water matchmaking forum in collaboration with Waterpreneurs and WaterVent June 8-9, 2017, at WIPO Headquarters in Geneva, Switzerland. The event brought together over 400 participants including entrepreneurs, investors, companies, public sector organizations, UN agencies, incubators, and others to discuss and pitch solutions for Sustainable Development Goal (SDG) 6 – Clean Water and Sanitation. As a matchmaking forum centered on stakeholder pitches and challenges, the event helped foster collaboration and innovation in the water sector through increased understanding, visibility, and networking amongst entrepreneurs and potential investors. June 8 kicked off with 40 presentations by entrepreneurs, who pitched their green business ideas to experts and investors. On June 9, some 60 organizations with water-related projects and programs pitched the challenges and needs for which they seek an innovative solution. To connect with any of the entrepreneurs or other participants from the event, please get in touch. 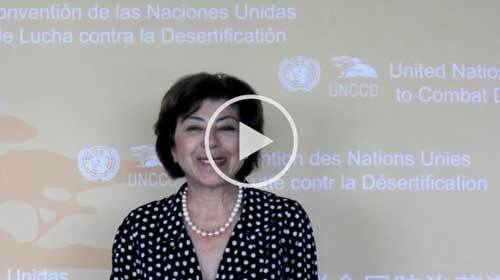 To promote safe water, WIPO GREEN and Partner InvenTrust also jointly launched two Open Challenges related to energy efficient water desalination and leakage elimination in water distribution. Sponsors and participants for these online contests are currently being sought and interested organizations are invited to submit innovative solutions.